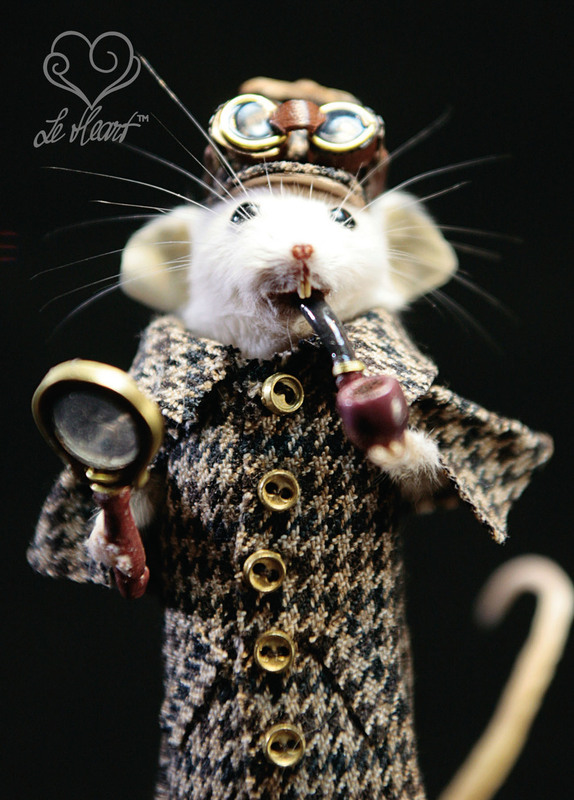 If you're curious about how one becomes a mouse taxidermist, and if you were waiting for detailed, step-by-step instructions on how to do it yourself, I wrote this book just for you! 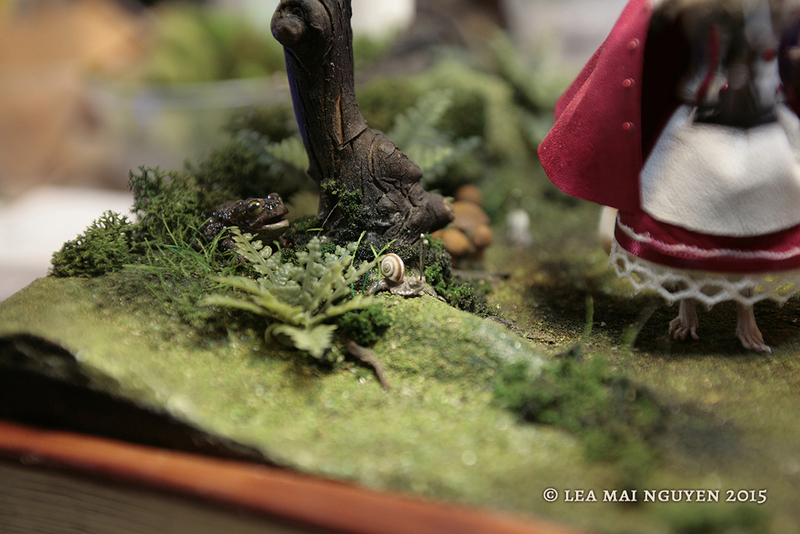 It's full of pictures of work-in-progress and the finished mice. Get it now on Amazon Kindle or paperback! The Mad Hatter is now on Etsy! The Queen of Hearts is on Etsy! Now on sale on Etsy! I now have a set of nice postcards! Did I tell you I did some pewter casting over the summer? It's a little involved, but very rewarding. Watch this space for a Making Of video! Making silicone molds from the sculpts. Getting ready to melt some pewter! To the left, the very first mouse I've made, a year and a half ago. To the right, now. Not too shabby! Reaper Famine is now on sale on Etsy! I'm thrilled to announce that I'll be vending at the NightLife event at the California Academy of Sciences in San Francisco on August 27th! I'm making mouse prints just for the occasion! My first Steampunk gun out of my son's broken Nerf gun. It's fun to work at full-scale for once! Commission for a Mouse Guard Black Axe Mouse. I love him! I might make more. I'll be vending in person at the San Jose Clockwork Alchemy Convention this Memorial Day Weekend, May 22-25! 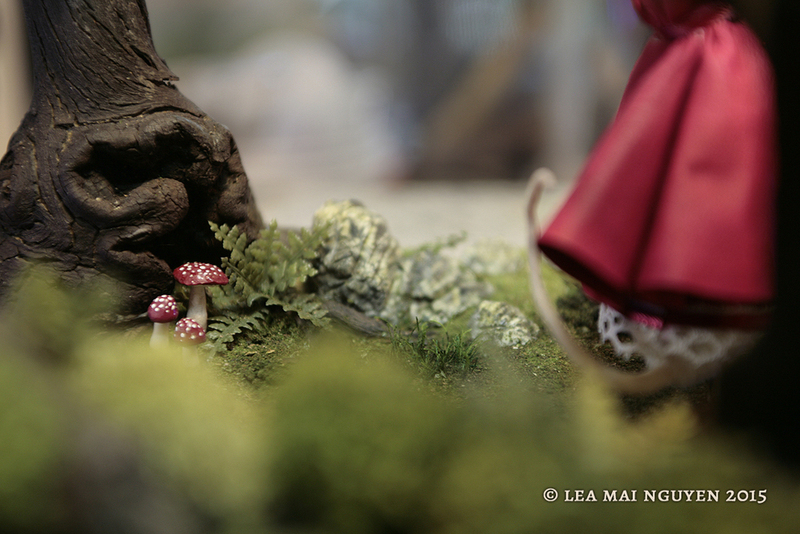 Come meet the mice! 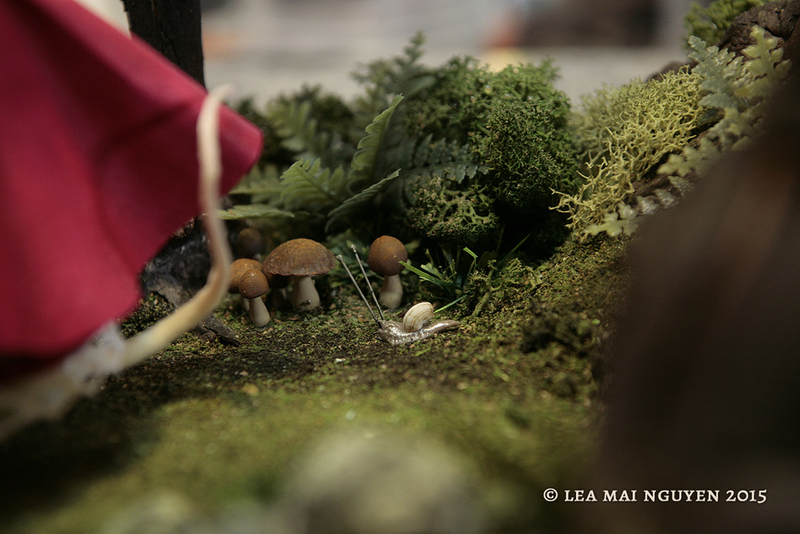 I had saved one of the Little Reds, knowing I'd want to make a forest diorama for it. Here it is, months later. My first time doing papier maché, too! This is pure Steampunk. They're all named after famous captains though, check them all out in the gallery! I made this specifically for the Clockwork Alchemy Bazaar, where I'll be vending through Memorial Day weekend, May 22 to 25, 2015 in San Jose, California. Come meet them in person! Sherlock Holmes now on Etsy! I'm getting used to working with fabric, even though at that scale, the draping and fraying is still tricky. Sherlock turned out pretty good though! Check out all five in the Gallery! I regularly visit the San Rafael Wild Care Center to drop off my mouse bodies, so they don't go to waste. It was feeding time for the owl, and she gobbled up four mice for her supper. Apparently she always holds on to one of them for a couple of hours after being fed, and they call it her "blanket mouse". I made a new batch of goggles and pipes for Sherlock this week, and about to start on a wedding gift commission!